Who says summer days are lazy? Like many of you, I’ve been busy catching up on some projects and completing assignments. And, also like you, I am making plans for seeing family, friends, and places of course. The focal point of Krakow’s Old Town section is Rynek Glówny, which also carries the distinction of being Europe’s largest medieval square. There is also a neat mixture of neighboring architecture found here. Town Hall Tower, the remnant of a 14-century town hall, has a 100-step staircase for climbing up, or browse among the wares offered by vendors inside Sukiennice, also known as Cloth Hall. This venue was once where merchants cut fabrics and nowadays more touristy but it’s a good source for finding souvenirs and handcrafted items. Around Rynek Glówny, meal options are plenty with restaurants and cafes. Pretzel carts sell nice-sized ones in plain or seeded versions. I paid about maybe a Euro and some change for one, and they can be filling. Another neat find around Rynek Glówny is St. Mary’s Basilica, which is worth going inside to view its ornate alter and ceiling. If you happen to be around outside this church on the hour, look up at its tall tower to catch a trumpeter playing four calls. Stay in Rynek Glówny a bit more, or buy in advance your timed admission entrance, to see Rynek Underground, a fascinating museum that literally takes visitors underneath street levels to seeing reconstructed displays on how medieval Krakow looked. Exhibits are based on real archeological findings, as relics are paired alongside touchscreens and short videos that provide details on everything from daily living to trade routes. Another wing gets even more visual with history films on various chapters of Krakow’s background. An impressive, 3D chronology on key figures throughout Krakow’s past is aired as a 360-degree presentation. Definitely get your tickets to Rynek Underground beforehand. Waits can get long. At Wawel, a hillside area near the Vistual River, kings were crowned and later buried and also lived out their reign for centuries. I recommend getting an early start here because there are limited daily tickets for going inside Wawel Castle and Wawel Cathedral. You can walk around the grounds of this complex but seeing the interior of both these places provides more insight on Krakow’s royalty. Wawel Cathedral is the resting place for national heroes and political leaders as well as late kings whose legacies live on in embellished tombs and sarcophagi. About three years, the late Polish President Lech Kaczynski and his wife were interned in a crypt. The cathedral has a number of small chapels named for saints or key figures. You can choose to climb up the Dzwon Zygmunta, a bell tower, where it’s said that if you touch the clapper of the massive Zygmunt bell (the largest of the five bells) with your left hand, you will have good luck. Graced with an Italian Renaissance courtyard, Wawel Castle has staterooms and private apartments with lavish furnishings such as tapestries and paintings along with Crown Treasury and Armory and other national wonders. Carefully climb up the narrow Sandomierska Tower, once used to hold firearms and artillery. Once you leave Wawel, journey down toward the Vistual River to follow a path route along the water and get a different look at the hill. As the Nazi invasion of Poland led to the beginning of World War II, Krakow’s Jewish population was forced to leave the long-thriving district of Kazimierz and pushed into a wartime ghetto called Podgórze. 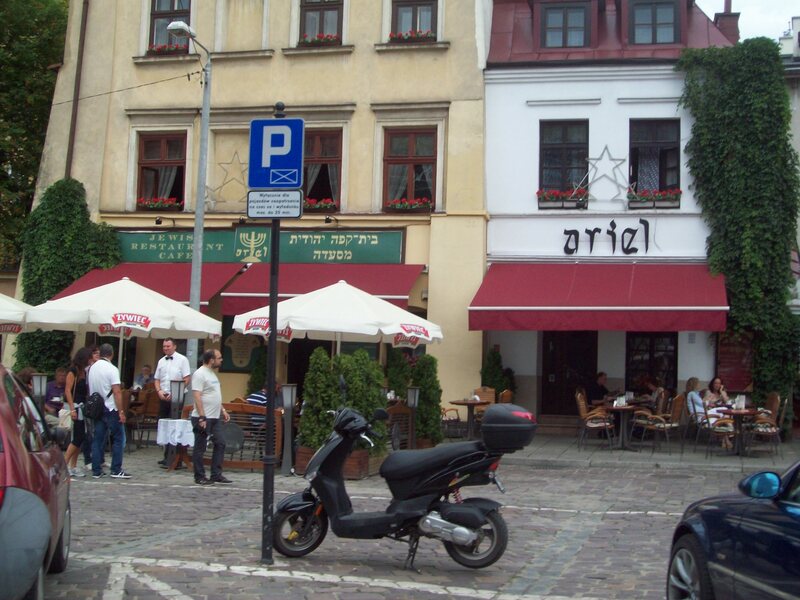 Today, Kazimierz has been reinvigorated as a place for kosher dining and a happening night scene, and also has a marketplace called Plac Nowy. Steven Spielberg filmed Schindler’s List here, and there are significant houses of worship such as the Remuh Synagogue & Cemetery, dating back to 1553, and Popper Synagogue, now an arts center. Podgórze contains standing reminders of the onslaughts that happened there. Plac Botherów Getta is a memorial of 70 chairs in remembrance of the ghetto’s occupants who were rounded up in this public space to be sent on to concentration camps. Next to the memorial, Pharmacy Under the Eagle was once a working pharmacy that doubled as a secret meeting place for residents. Now it’s a museum. Along a section called Lwowska, catch two remaining segments that made up Remnants of the Ghetto Wall, built for what it’s called. Discover the story behind Schindler’s List by visiting the Oskar Schindler Enamelled Goods Factory (or simply called Schindler’s Factory), whose owner saved the lives of more than 1,000 factory workers. Before becoming Pope John Paul II, the late Karol Wojtyla attended university in Krakow and was an archbishop here. The Archdiocese Museum showcases his life, interests and travels. A public park that stands on a once-fortified circle, The Planty has statues, monuments and plaques along with sites including the Barbican, a fort/drawbridge dating back to the 1400s, and Bunkier Sztuky, a pretty cool art museum. This entry was posted in Europe, Krakow, Poland and tagged places to see in Krakow, Rynek Glówny, Rynek Underground, Schindler's List, Schindler’s Factory, things to do in Krakow, Wawel, Wawel Castle on June 17, 2013 by She Is Going Places.